Copy of Healthcare Solutions — Axiad IDS, Inc. Facing growing security breaches and related costs, the healthcare industry is seeking innovative solutions to protect confidential information while cost-effectively providing users with convenience and accessibility. The challenge is how to protect sensitive patient information without impeding productivity, especially for overburdened IT departments faced with fewer resources and security experts. With a focus on fast, secure and convenient access to critical information, Axiad IDS’ healthcare solutions close this gap. Axiad IDS enables organizations to issue, manage, and use identities they can trust, whether for individuals or devices accessing their networks. Axiad IDS’ team of experts can have a system operational in days versus weeks or months, enabling quick compliance with security requirements such as HIPAA, HITEC and EPCS. Over time, our solutions evolve to address a company’s changing security and authentication needs. Axiad IDS’ takes HIPAA-compliant security to the next level by combining innovative single sign-on authentication with powerful multi-factor authentication to protect patient information while giving doctors and healthcare fast and convenient access to electronic-protected health information – all with a single point of contact. The information security demands of HIPAA are broad and cover everything from policy to physical and logical (IT) access controls. This whitepaper will address the fundamentals of data protection in the Healthcare Industry including logical access controls to electronic records. Our integrated solution helps healthcare organizations achieve the perfect balance: a better user experience while preventing a credential theft from becoming a data breach. We provide turn-key deployment options and complete, single-source support. Founded by a team of experts with extensive experience and strong industry knowledge, Axiad IDS has garnered recognition as an important player in the Identity assurance domain by leveraging its experience to address numerous challenges within the compliance space. In this article, learn the benefits of the approach that starts with what customers need from a business and security perspective, and how Axiad builds solutions to address those needs. 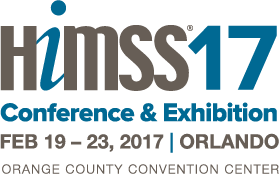 Axiad IDS launched its new integrated healthcare solution at the 2017 HIMSS Annual Conference. Axiad IDS’ solution takes HIPAA-compliant security to the next level by combining innovative single sign-on authentication with two-factor authentication to protect patient information while giving doctors and healthcare providers fast and convenient access to electronic-protected health information (ePHI). After evaluating nearly 300 companies, a distinguished panel of CEOs, CIOs, VCs, and analysts selected the 10 top companies helping healthcare organizations meet the security regulations required to protect against costly data breaches and medical identity theft. Axiad IDS was recognized for its focus on bridging the common operational gaps faced by many healthcare companies when integrating identity and access management technologies.